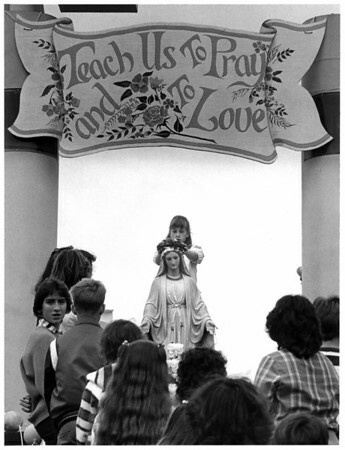 Sixth Annua Rosary Crusade in Lacky Plaza. Amy Failinger is placing crown of roses on statue of Mary. Photo - By Tim Johnson - 9/21/1986.